Get ready to burn rubber inside the Grand Prix Racer! - Adjust the spoiler! 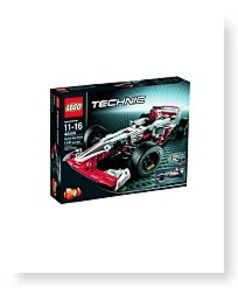 Motorize it with 8293 LEGO Power Functions Motor Set (sold separately) for even more supercharged fun! 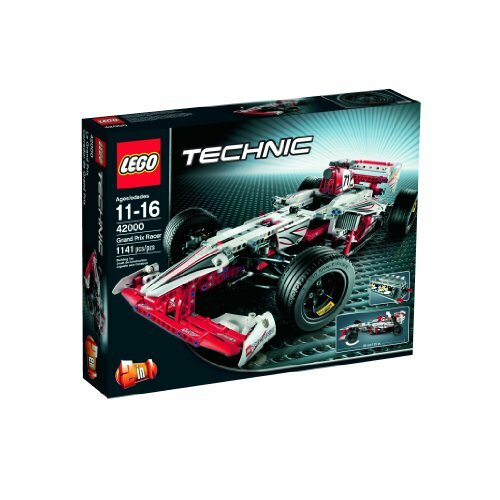 This 2-in-1 LEGO Technic model is crammed with realistic details and functions, like the opening engine cover, independent all-wheel suspension, V8 engine with moving pistons, adjustable rear spoiler and steering capabilities. - Features opening engine cover, independent all-wheel suspension, V8 engine with moving pistons, adjustable rear spoiler and realistic steering- Show off the engine! - 2-in-1 model: Rebuilds into a Race Truck featuring independent front and rear wheel suspension, engine with moving pistons, opening hood and adjustable rear wing- Motorize the Grand Prix Racer with 8293 LEGO Power Functions Motor Set (sold separately) - Measures over 4"(12cm) high, 24"(61cm) long and 9"(25cm) wide- Race Truck measures over 7"(19cm) high, 17"(45cm) lengthy and 8"(22cm) wide. Build a model that's just like the real thing! 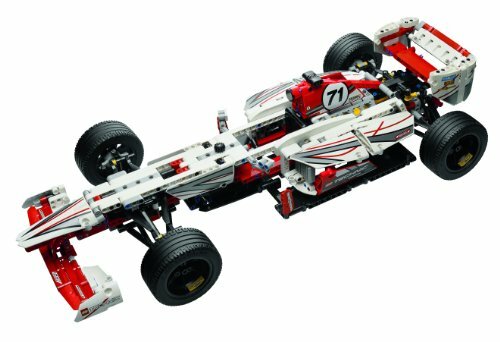 Rebuilds into a cool Race Truck with independent front and rear wheel suspension, engine with moving pistons, opening hood and adjustable rear wing. Dimensions: Height: 3.7" Length: 18.9" Width: 14.88"
Package: Height: 3.9" Length: 18.8" Depth: 14.8"